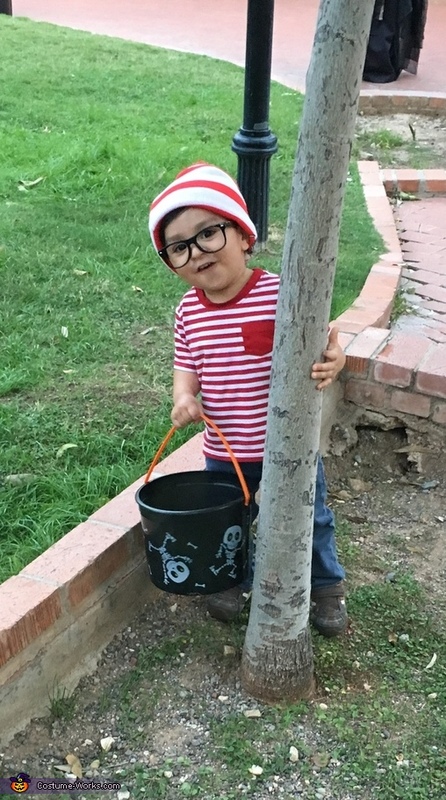 Our son Nicholas (2) is dressed up as Waldo. All the items in his costume we already owned except for the glasses which were purchased at the dollar store. We removed the lens to make them nerd glasses.